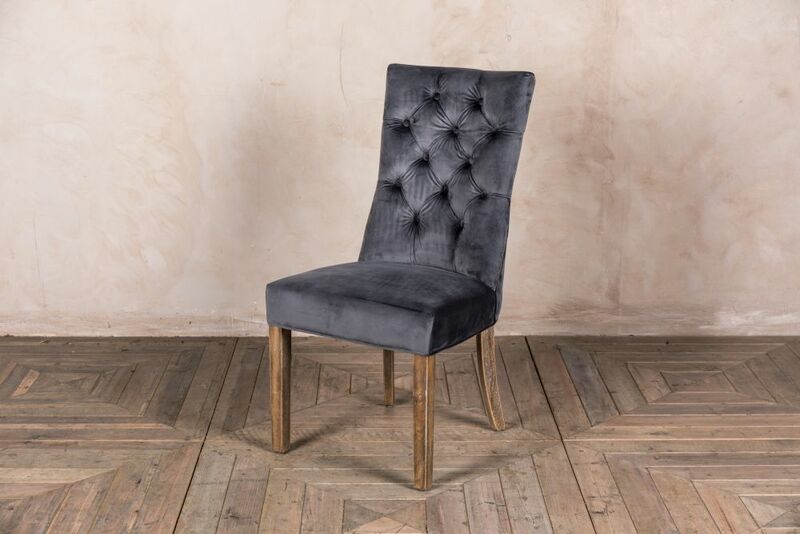 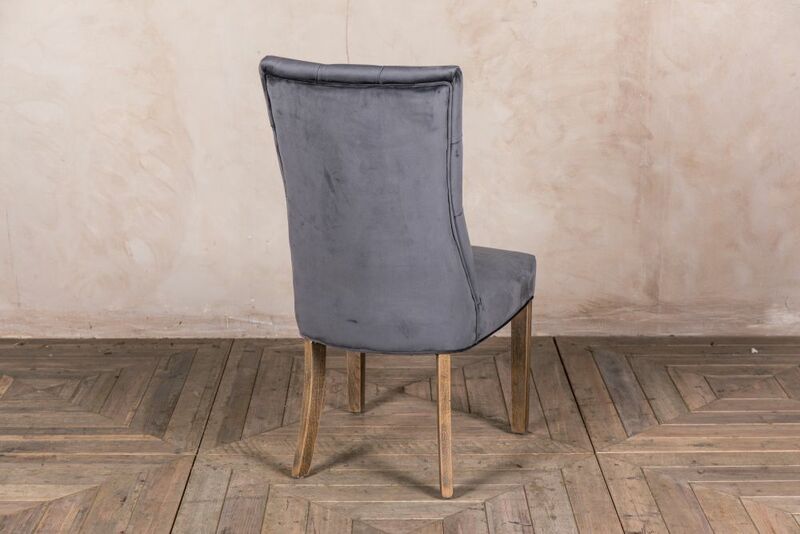 Add a touch of class to your dining table with a French style velvet chair. 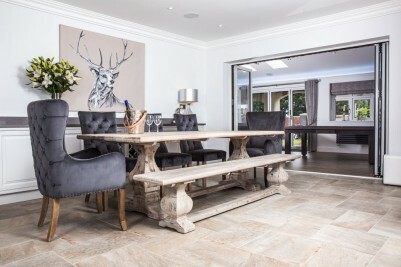 The ‘Brittany’ dining range is perfect for both homes and restaurants. 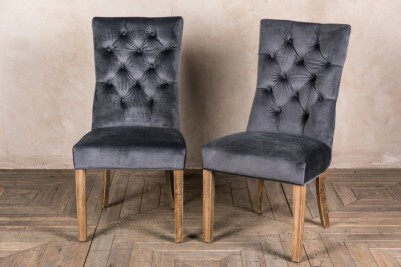 The pressed button back rests and luscious velvet upholstery make these chairs a standout addition to any dining area. Both chairs have wooden legs, helping to tie it in with existing wooden furniture. 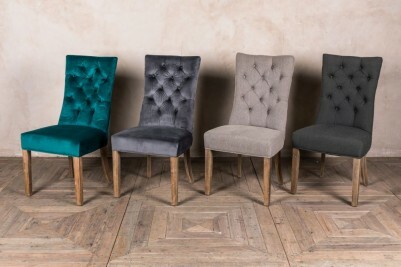 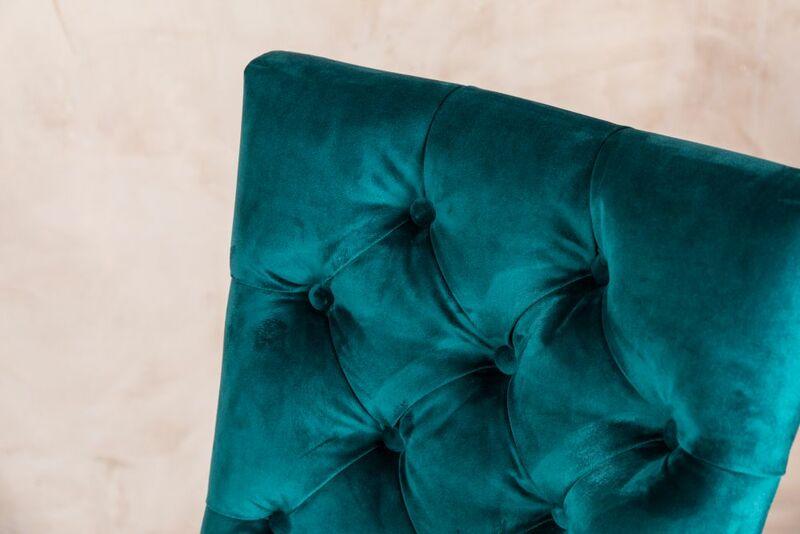 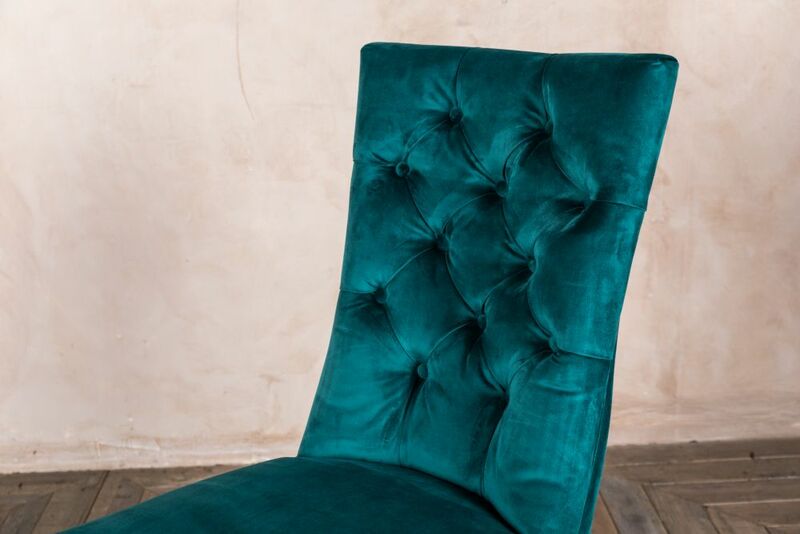 The chairs are available in grey and teal velvet; the teal chairs are a stunning way to add colour to a room, whilst the grey chairs suit a grey luxe interior. 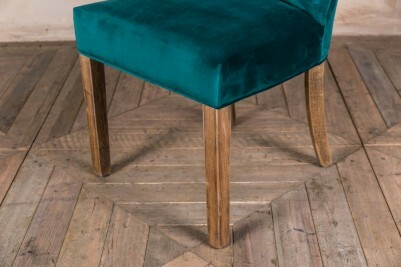 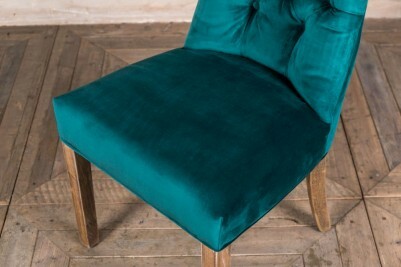 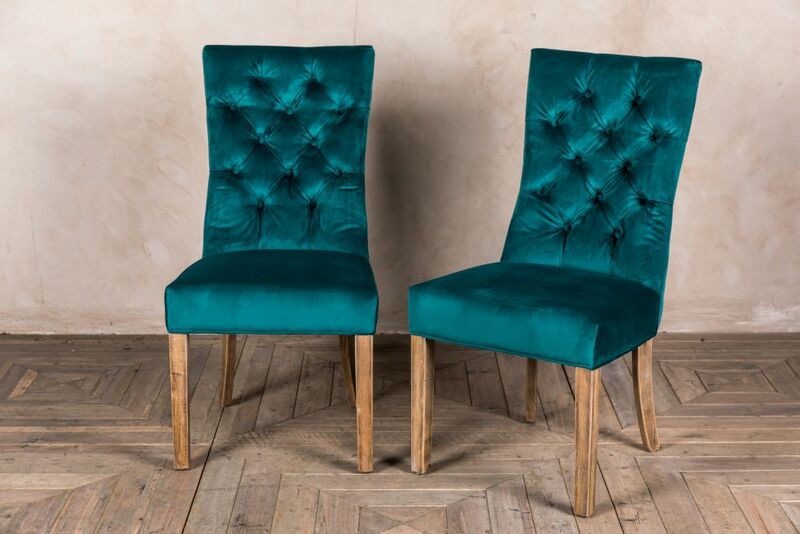 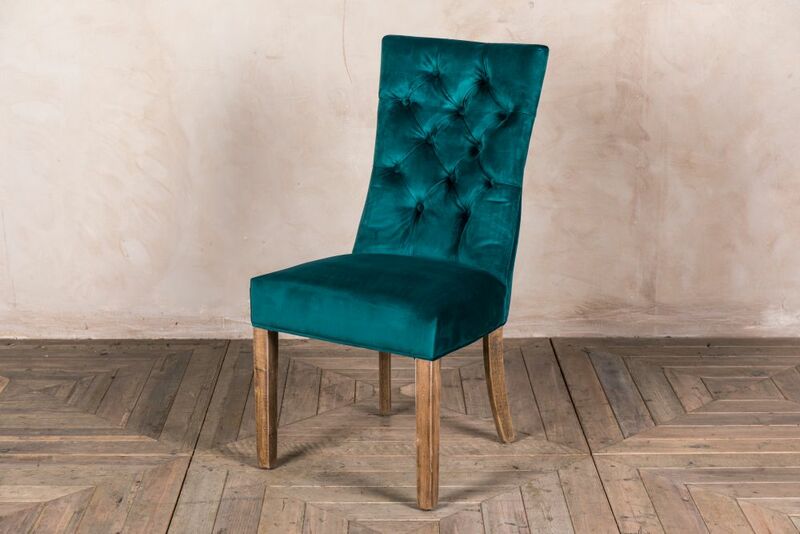 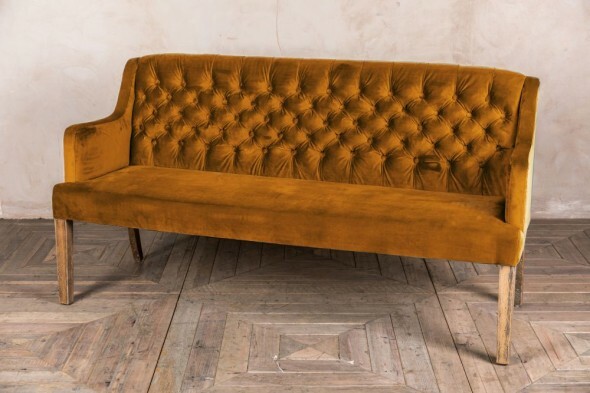 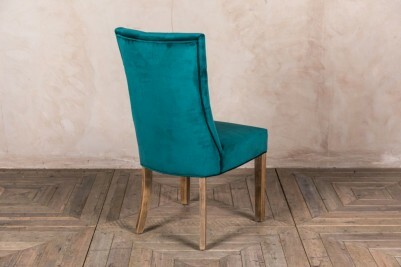 The ‘Marseille’ teal velvet dining bench would complement the teal velvet ‘Brittany’ chair. Pair these to add a bold and stylish statement to your interior. 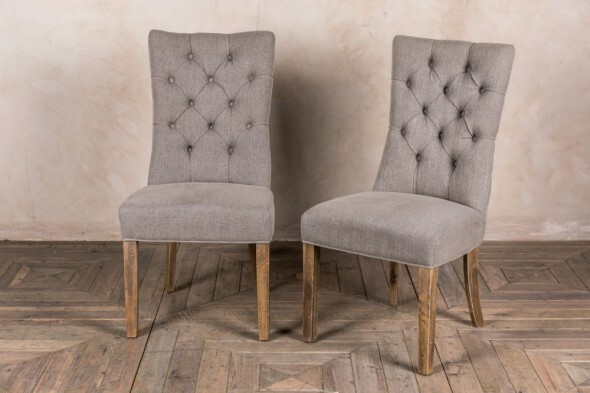 The ‘Brittany’ chair is also available in stone or pewter grey linen. 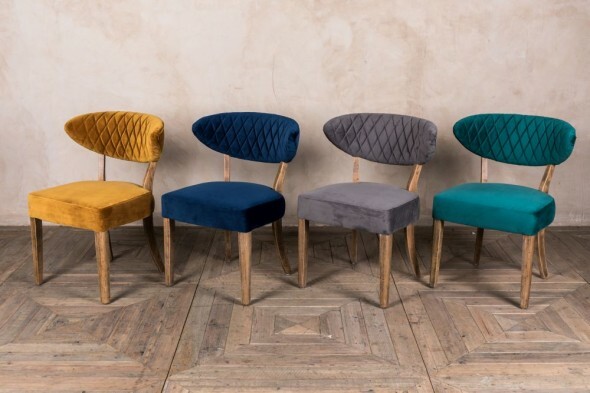 Please note that the colour of these chairs may appear different in some lights.